June 21 has been declared as the International Day of Yoga by the United Nations General Assembly on December 11, 2014. Yoga is not simply about exercise but about oneness with oneself, world and the nature. Practice Yoga for great health, harmony and peace of mind! Practicing Yoga regularly can keep you energetic, healthy and fit. The origin of Yoga dates to over 6000 years ago in India. Yoga, a physical, mental and spiritual practice helps integrate the body, mind and soul. 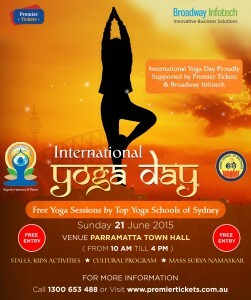 Premier Tickets Australia and Broadway Infotech are proud to support the First International Yoga Day celebrations on June 21, Sunday at Parramatta Town Hall. The declaration of June 21 as World Yoga Day came after the call of Indian PM Narendra Modi during his address to UN General Assembly in September 2014. Modi said that Yoga is an invaluable gift of India’s ancient tradition. It embodies unity of mind and body; thought and action; restraint and fulfillment; harmony between man and nature; a holistic approach to health and well-being. By changing our lifestyle and creating consciousness, it can help us deal with climate change. He asked global leaders to adopt June 21 as International Yoga Day. June 21 is the longest day of the year in the Northern Atmosphere and has significance in several parts of the world. The initiative was supported by more than 177 countries globally including USA, Canada, Nepal, China and Egypt. On December 11, 2014 the UN General Assembly by consensus approved June 21 as International Day of Yoga co-sponsored by a record 177 nations. The Hindu Council of Australia is proud to organize the International Yoga Day Program at the Parramatta Town Hall on Sunday June 21. 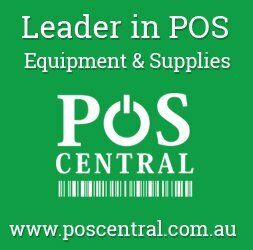 Please register yourself at www.WorldYogaDay.org.au today!